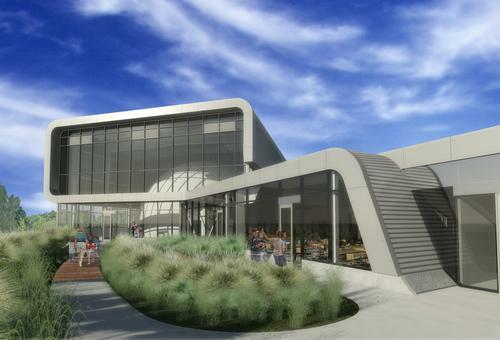 Renderings have been released for a new science centre and planetarium coming to Sacramento, California, in 2020. Dreyfuss + Blackford Architecture in Sacramento was tasked with designing a site that would adapt a prominent landmark in the city - a historic riverfront power station next to Interstate 5 - for use as a science institution. Otto Construction began work on the new building in May 2018. When completed, the new Powerhouse Science Center will celebrate the original use of the 1912-era power station and technological advances in energy production early in the 20th Century, as well as featuring an area dedicated to water: teaching visitors how much water is needed to grow crops, how Californian farmers lead the world in conservation, and how the state’s water storage and delivery system works. The 50,000sq ft (15,240sq m) two-storey campus will become a major facility for teaching both adults and children about STEM (Science, Technology, Engineering and Mathematics) projects and exhibits. 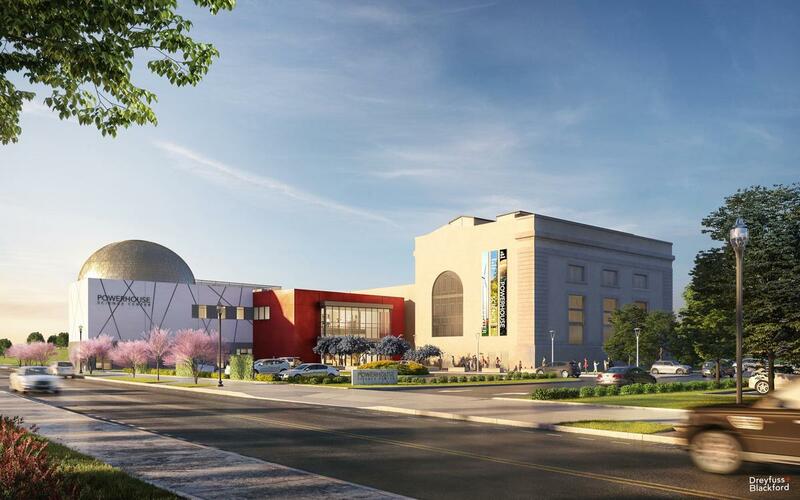 A major new addition will be the 120-seat planetarium, prominent in the new rendering with its zinc-clad hemispheric dome, while the facility will also have classrooms, offices and a café. The new renovation of a former power station designed by Dreyfuss & Blackford Architects will include eight interactive exhibit spaces, a new full-dome digital theatre, classrooms, a learning centre, discovery labs, an eco-roof and a cafe. The new design preserves the facade of the original 1912 Willis Polk-designed structure while adding decidedly modern building elements as counterpoints.